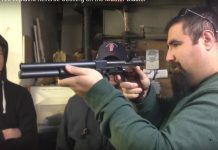 Tim at Paintball Tek shows how the reverse pump action on the Elevator Master Blaster pump paintgun works. 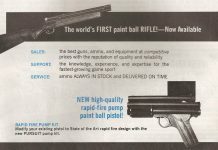 A look at the 1986 Sheridan pumps that were being offered by Pursuit Marketing, Inc. from an advertisement printed in the April 1986 issue of Front Line. 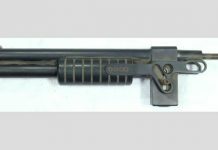 Tim McMurray's short barrel Master Blaster barrel assembly, which he found last week when cleaning his shop in Gardena California. 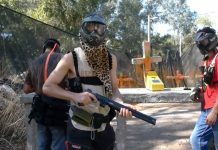 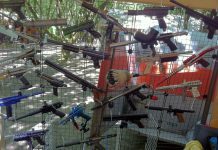 I test the Master Blaster / Elevator Gun over the chrono range at Jungle Island Paintball. 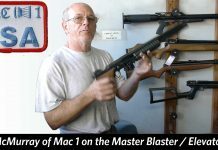 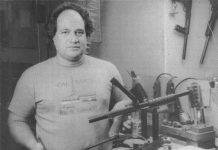 In this video Tim McMurray talks about his involvement with Stan Russell and Earon Carter in the development of the Master Blaster / Elevator Gun. 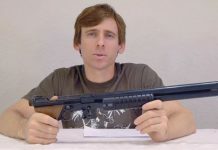 In the third installment of the Master Blaster / Elevator Gun series I take a closer look at operating this reverse pump action. 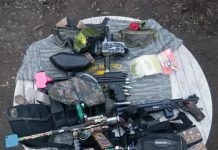 There is a clear shot of the elevator raising and lowering and how a 12 gram is loaded upside down. 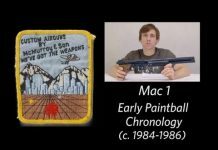 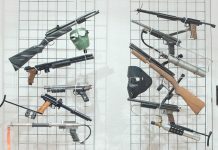 Over the last 6 months I have been digging up information on a limited production pump paintball gun that dates back to the roots of Southern California Paintball. 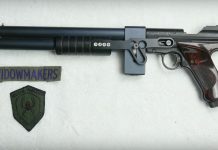 The gun has several names, the Elevator Gun, the Master Blaster and the Blast Master. 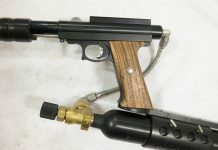 Although it isn't the first paintgun to use an elevator system to load the paintball into the breech (AGA 62 predates this design by around a year) it is a very early pump, built off a pellet gun platform that is one of the first (or at least very early) collaborations between respected Southern California Airsmiths Tim McMurray of McMurray and Sons (Mac-1), Earon Carter and Stan Russell, both of South Bay Arms and likely constructed late 1985-early 1986. 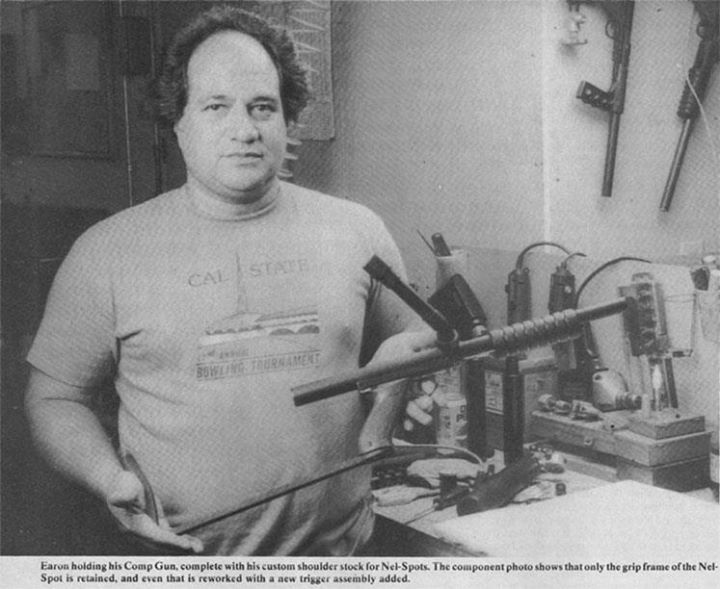 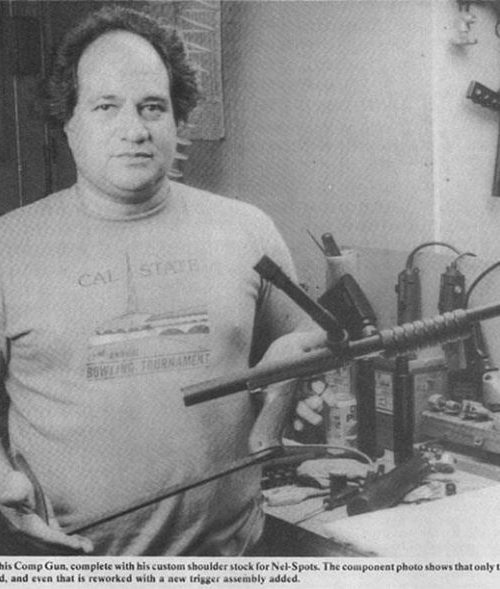 Here is a photo of Earon Carter from an article on the introduction of the Carter Comp in the November 1987 issue of Action Pursuit Games. 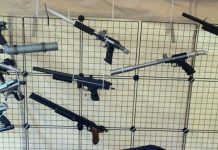 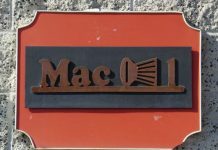 I took this photo outside of Tim McMurray's Mac 1 Airguns shop in Gardena today.